From time to time we all need a little inspiration. It’s easy to get discouraged or to get bogged down with the day to day busy-ness that comes with homeschooling. But sometimes inspiration can come in a simple reminder that what we are doing is of far greater value than the moments that fill up a homeschooler’s day. 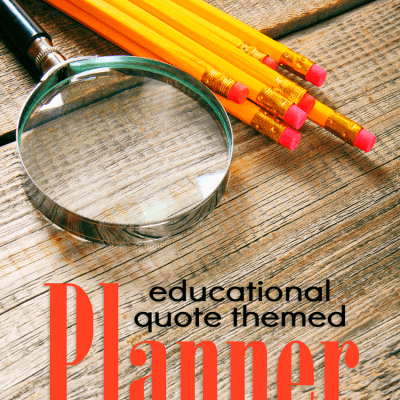 With our inspiring quotes for homeschoolers, you’re going to find just the insight you need to keep on keeping on. 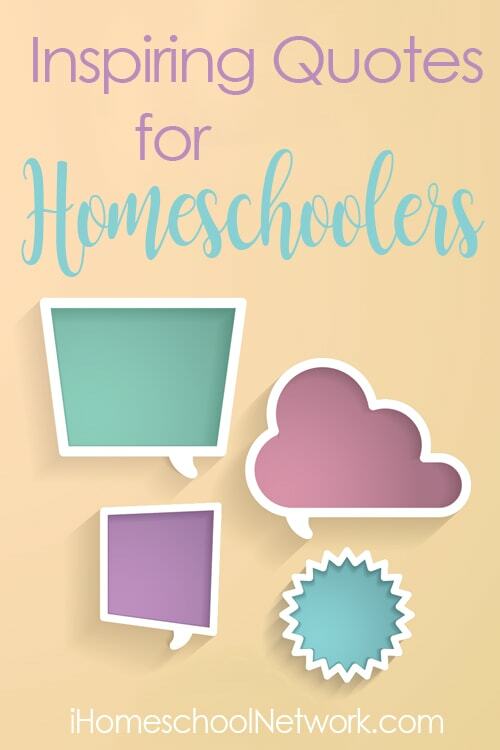 “In order to stay the course with homeschooling while pouring into your child’s passions, you’ve got to set ground rules in place.” – Diana Kennedy, The Big Book of Homeschooling Ideas. We’ve gathered our favorite inspiring quotes for this link up and wanted to share them with you because we know as homeschoolers we all need a bit of incentive from time to time. Without some encouragement, we may want to throw in the proverbial towel. Without a bit of revelation, we might feel lost and as if we are floundering in a sea of Pinterest unworthiness. We need to remember and be reminded of, our purpose, our goal, our reason for doing what we do every day. Homeschooling isn’t just about books, and planners, it’s about training and preparing our children for adulthood. We hope that these inspiring quotes will offer you a bit of enthusiasm as you are preparing your lessons, curriculum, or plans for the upcoming homeschooling year. What is your favorite quote? We’d love to know. Share your favorite quote in the comments below. Be sure to properly credit the quoted author.